For those people who have written to me asking if I'm going to produce a Counter-Strike Source version of Rats!, the answer is.. probably. I have no time at the moment to even play CSS, or Half-Life 2, but I have bought the game and played with the new editor a little. I have looked at converting de_rats to CSS. Apart from getting used to the new features of the CSS engine the main task seems to be retexturing the entire map, which may take a while. To create a fully-fledged CSS version of the map will take even longer but I will probably work on producing a simple conversion first with everything as close to the old version as possible, including the original low-res textures. If I get that done I will see about producing a high-res version, perhaps with more detail and new models etc. I should stress again that I have almost no time to work on this stuff so even the first conversion is going to take me some time. I will post again here when I've made some progress. I'm not mapping any more. 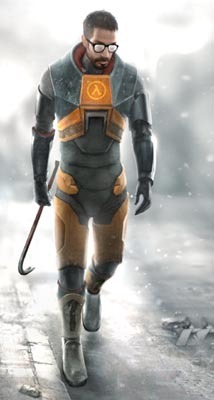 Maybe when Half-Life 2 is released I'll start again but it's not certain. Sorry. To those people that write to me asking if they can have the source files for my maps, the answer is NO. I do not want people modifying the maps that I created. On the other hand, if you want to create a similar map yourself that's great and I wish you all the best - you'll enjoy it! When I created my original mini-map I spent quite a while thinking up possible names for it before I chose "Rats!". Nowadays people talk about "Rats" maps as any map using the same trick of scaled-up rooms, which is fine. What I DO NOT appreciate is people taking my naming convention for their own maps and sticking a new number on the end to make it look like an official sequel (e.g. Rats4) or a new version of one of my maps (e.g. de_rats_2004). That's just theft. If you create your own map, come up with your own name please! If you have problems downloading my maps feel free to get in touch. You can still contact me at the address mentioned on the Contact page. I just watched the Half-Life2 gameplay movie that's carried on FilePlanet and I have to say it's stunning. The facial animation shown in the first segment, the environment rendering and realistic physics shown in the next part show that their new game engine is truly remarkable. 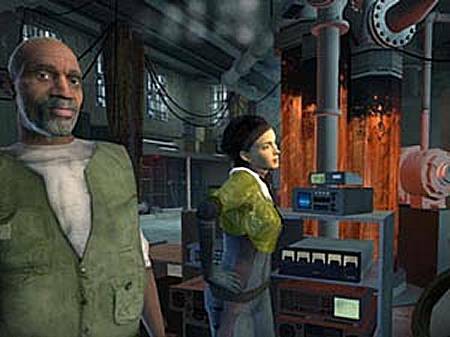 The actual HL2 gameplay shown in the rest is at the same time familiar to existing Half-Life players and full of new ideas. The interactive physics of the environment and the improved AI appear to replace the need for lots of scripted sequences which should make gameplay less linear. Also, the more powerful engine allows for expansive outdoor areas which can only open up gameplay further. This movie shows that the new game has amazing potential for mappers (and mod makers) but at the same time the fact that the engine allows incredibly detailed and extremely large maps will make amateur level design even more of a challenge. If you have the bandwidth to be able to download this 500Mb+ 25 minute QuickTime you can get it here. It's interesting to see the first good-quality in-game shots from Half-Life 2 in this article on CNN.com. Apparently the release date of the game is September 30 but who'd like to bet it will come out on time? In this one you can appreciate the quality of the high-poly models and from the background it's clear that the new game engine at least supports curved surfaces. There's also a rather dodgy-looking steam effect visible at the top of the screen which is hopefully just an oversight. This shot of Gordon looks like cover or cut-scene art rather than a game-engine shot but you never know. This series of shots of the Alyx character shows the impressive quality of the facial animation system of the new game. 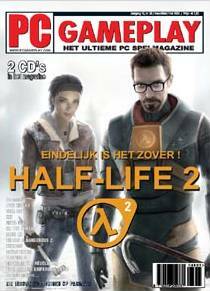 Valve have now formally announced that they are indeed working on Half-Life 2. Not only that but they intend to show it at the E3 trade fair in L.A. (13-16 May). Annotated screenshots from the upcoming issue of PCGamer magazine posted briefly on Planet Halflife (now withdrawn) showed a level set in a prison where the player (Gordon presumably) appeared to be fighting alongside prison guards against aliens. The annotations highlighted the particle effects (smoke, fire etc. ), the fact that bullet marks appeared on models as well as walls, and noted that the monster/ally AI is even more effective than in Half-Life. No news to report as I'm still temporarily retired from the mapping scene. I just thought it's worth noting that I probably won't be mapping again until inspired to do so by a major game release. Counter Strike : Condition Zero : E.T.A. - Q2 2003. That's about now, but don't hold your breath. My guess is we'll see at least one new version of Counter-Strike before this is released. Team Fortress 2 : E.T.A. - ????. Supposed to be soonish but has been endlessly delayed. Doom 3 : E.T.A. - ????. Since there isn't even a page at Doom3.com it may be some way off still. Nearly 4 months without an update? Well, sorry about that but for the time being I'm afraid I'm a semi-retired Half-Life mapper. I must admit that at the time I released Edge of Darkness (over 2 years ago) I thought that Half-Life was bound to be replaced any day as the top first-person shooter. The only original map I have really created since Rats3 is a Counter-Strike map called cs_Malibu which is based on elements of the abandoned sequel to my Edge of Darkness single-player pack. I worked on this map on-and-off for many months without ever really finishing it and in the end I just stopped working on it completely. Nothing to do with Half-Life or CS, but I just thought I should warn people that they need to be very careful about the latest e-mail virus that seems to be running wild at the moment. Ninety percent of all the e-mails I'm receiving at the moment are infected with the W32.Klez virus which means that a lot of people who play HL/CS obviously have this virus on their PCs without realising it. Even if you don't think you have it you should probably download and run the free Symantec W32.Klez Removal Tool just to be sure. It's a very small download and when you run it it will scan your whole PC and let you know if anything was found (it will also remove it of course if it does find the virus). Important news today if you make maps for Half-Life or one of its mods. Valve have released a new version of WorldCraft (v3.4), which they have decided to rename the Valve Hammer Editor (don't laugh!). You can read all about it at the Valve ERC site and you can download the installer directly here: Download the Valve Hammer Editor v3.4. I've just been going through my mail - something I don't do that often I'm afraid, and wanted to thank the people who'd pointed out that some of my level download links were no longer working. I don't know why Rats2, RatsXL and my Quake2 map pack Forces Of Evil have all disappeared from FilePlanet but I have now updated my download links to point to copies on my own server. A quick update to say that in the next month or so I will be producing new Counter-Strike versions of Rats, Rats2, Rats3 and RatsXL with 16 player starts per team. These 32-player maps probably won't include any other significant changes - although it's true I never did release my own CS version of Rats2 so that will be new in a way. In order to pick up on spawn-point bugs I will probably release beta versions of all these maps first followed by final versions a short while later. If you have a server with plenty of players that runs Rats! CS maps and would like to help-out with beta testing you can write to me in about two weeks time. This site is best viewed with Macromedia's free Flash 5 Player installed.